This spring, Mariam Thalos joins the faculty in the College of Arts and Sciences as the new head of the Department of Philosophy. 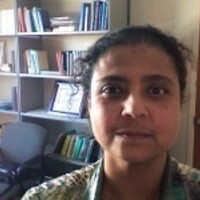 Mariam Thalos comes to UT from the University of Utah where she was a professor of philosophy for 16 years. After earning her PhD from the University of Illinois at Chicago in 1993, she taught at the SUNY Buffalo for eight years before moving to Utah. In the past, she focused her research on fundamental and persistent questions in and regarding the sciences, especially the physical, social, and decisional sciences, as well as on the relations among all disciplines. Her current research focus is the nature of human experience, the philosophical foundations of self-hood, and the nature of that reasoning that directly provides support to our human agency (philosophers call it practical reasoning). Thalos has won numerous distinguished scholarly prizes for her work and been funded by national and international funding bodies, including the NSF. She is a former fellow of the National Endowment for the Humanities, the Institute of Advanced Studies of the Australian National University, the Tanner Humanities Center, the University of Sydney Center for Foundations of Science, and the Institute of Philosophy, University of London.